An easy place to start is by picking up a few hose bibb covers at your local hardware store and cover all exterior hose bibbs. They are easy to install and can prevent those pipes from freezing and bursting. Think back to 8th grade science class – cold air sinks. A great place for cold air to enter your home is in the crawlspace. In order to help prevent that, pick up foam crawlspace covers to prevent winter heat loss and save money! This is a smart thing to do a few times a year, but especially before the colder weather hits. 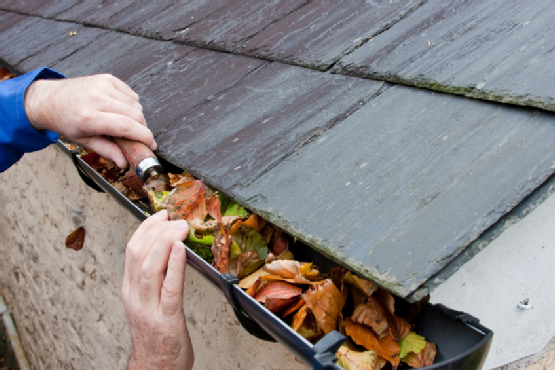 This will go a long way in helping to prevent water, snow, and ice from backing up in your gutters and damaging your home. Here is an easy one for you if you don’t feel like heading to the store or getting on the roof just yet. Put away the mower, patio furniture, BBQ, hoses, and any other outdoor summer-time “stuff”. Bonus tip – take a few extra minutes to wipe them down and put them away in an organized manner. This will make your life much easier when it comes time to unpack them again next summer! We are talking exterior lights here. Shorter days bring colder temps, so it’s a good idea to make sure all of those outside lights are working well. 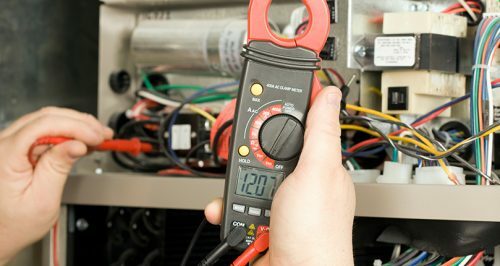 Replace any bulbs, tighten any fittings, and, if need be, call an electrician to make sure your home is well lit this winter. Do you have a fireplace or stove you love to use? It never hurts to have them checked every few years. 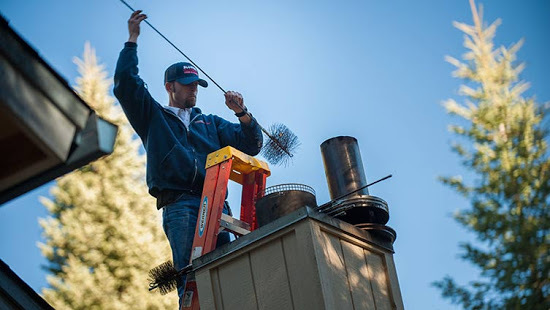 A chimney sweep is always a good idea – especially if it’s been a little while! Here are 2 simple tests you can try to see if your windows and doors are in good shape. On one of those brisk Fall mornings, run your hand along the inside edges of your windows and doors. Do you feel any cold air? If so, you may need an adjustment or new weather stripping. Another test for those exterior doors is to lay down inside about 10 feet from the door – can you see any light? If so, you may need to have that bottom stripping replaced or adjusted as well. This will save you money and, in the case of the doors, prevent bugs from finding their way inside. Testing your smoke alarms a few times a year is essential, so make it a habit to check your alarms in the Fall. Test them, replace old batteries, and if you don’t have them – add CO detectors to your homes protection system. Carbon Monoxide detectors are a strong recommendation by the State and a must if you rent or sell your home. Consider Smoke/CO combination detectors. As a rule of thumb, put at least one CO detector on each floor of your home and ensure that at least one detector is within 15ft of any bedroom. 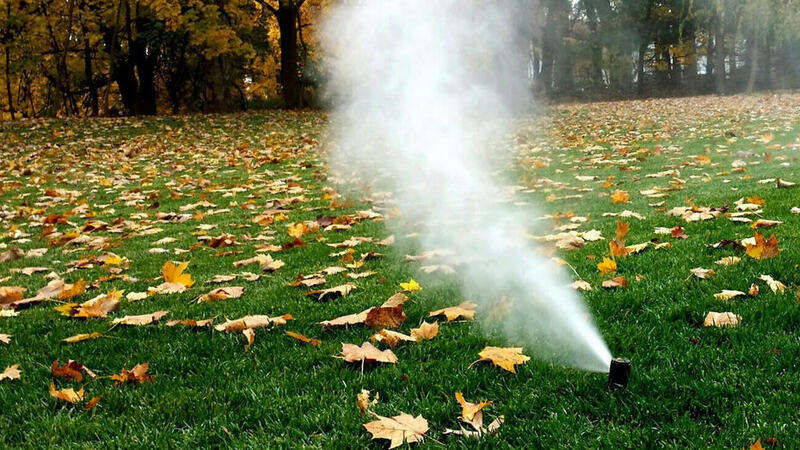 Have a professional blowout your sprinklers before the really cold nights hit. Clearing the pipes of water will prevent broken pipes in the spring and money lost down the road. It will cost you a few bucks upfront, but it’s worth it. Bonus: prepare to snuggle in style and buy yourself a cozy new throw!